Steph Curry is the heart and soul of Oakland. He’s the face of the Golden State Warriors. Kevin Durant may be better, Draymond Green may be louder and Klay Thompson may be cooler. But Curry is the leader of the team. Where he goes, the rest follow. When he’s flying at his highest, the Warriors are nearly unstoppable. That’s why Oakland loves him. They embraced him as one of their own. For his part, Curry calls Oakland his home. He’s proud to rep the Golden State where ever he goes. Curry champions Oakland and they recognize him as their champion. 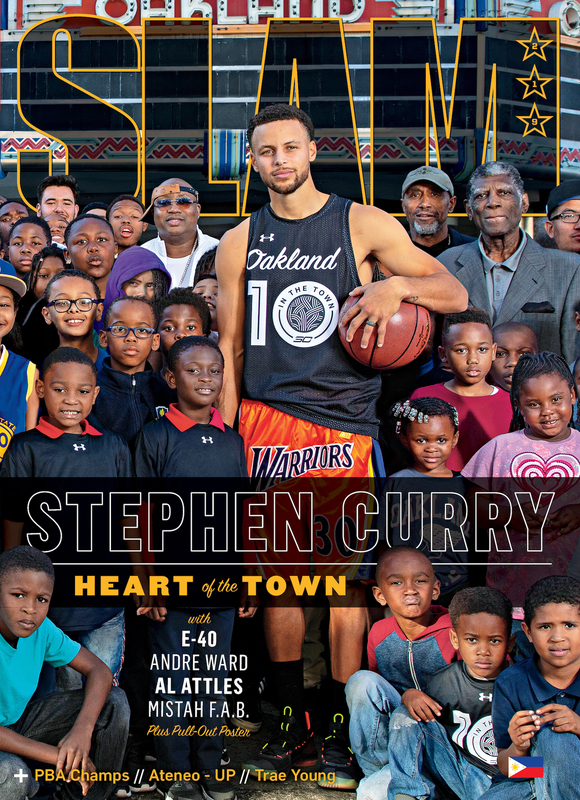 Read all about Curry and his hometown in SLAM 219. SLAM 219 is all about champions. Read about Mark Barroca and the return of the Magnolia Hotshots to the top of the league. Also in the issue is the epic Battle of Katipunan between the Ateneo Blue Eagles and the UP Fighting Maroons. SLAM 219 is out in Titan Fort and the webstore today. It will be available in major book stores within the week.